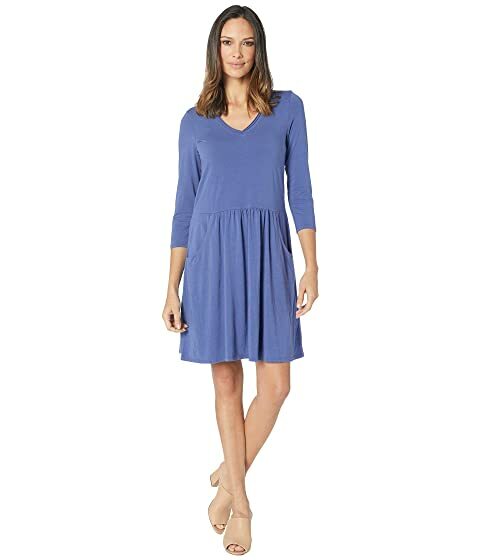 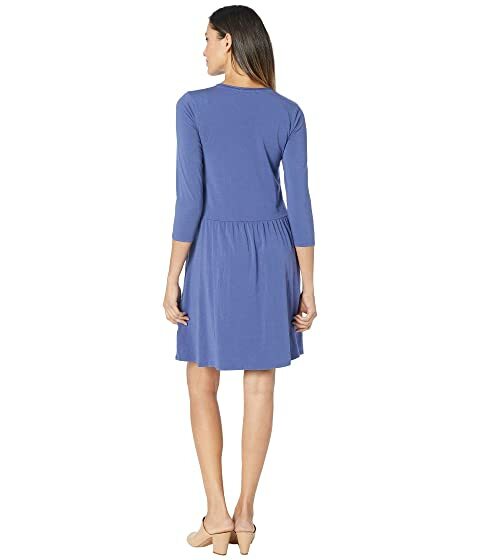 Embrace fun style when you adorn this Mod-o-doc™ Cotton Modal Spandex Jersey 3/4 Sleeve Easy Fit Dress with Front Pockets. 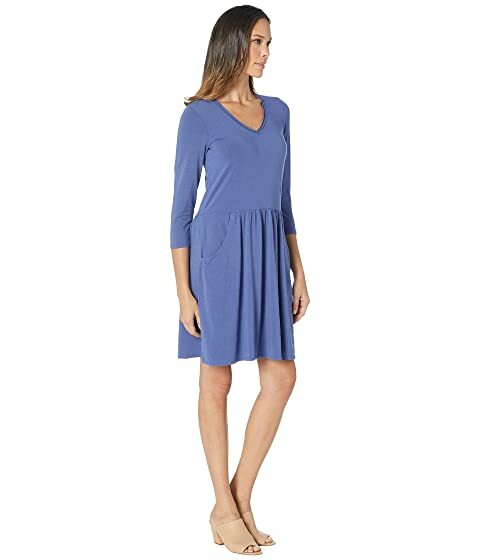 Soft and stretchy jersey dress features front pockets for an elevated look. 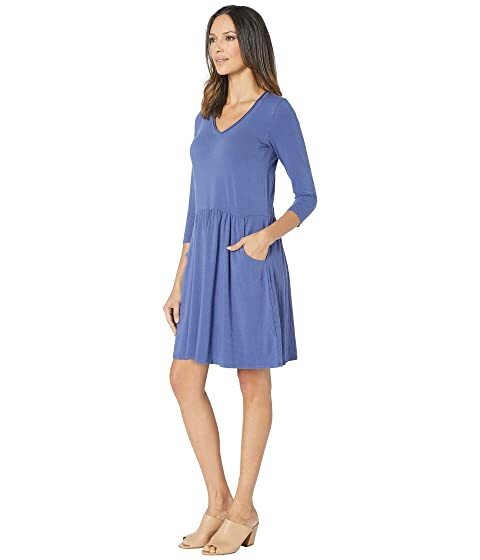 Shirred waist lends a pretty drape.